The Wrought Iron Candle Holder can be the ideal choice for adding style and glamour to any room, in addition to light in the form Read More..of a candle placed in it. The elegant design form along with the delicate makes for a classy choice for an accessory meant for holding candles. 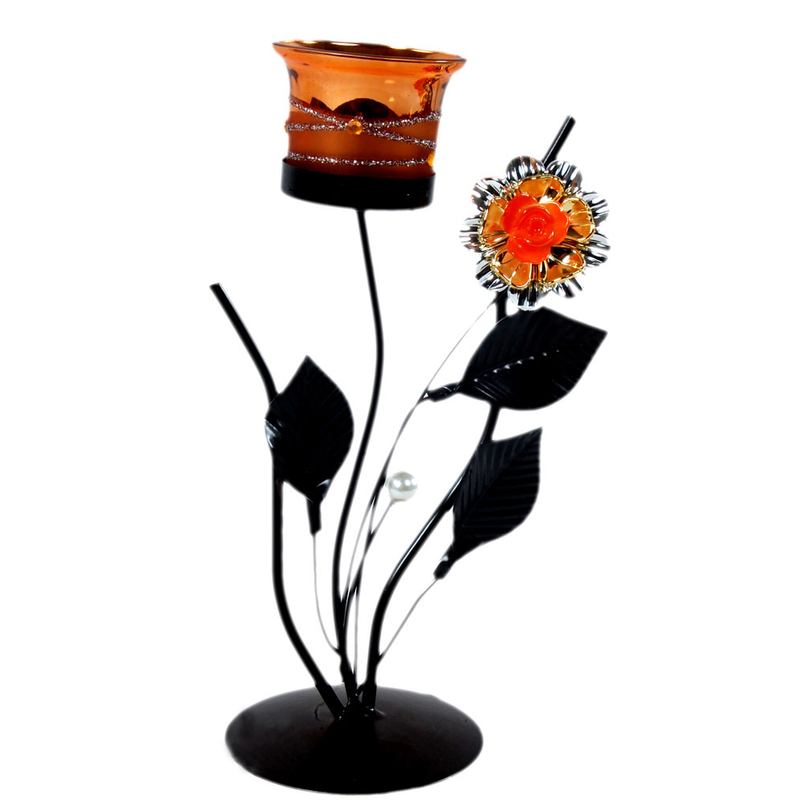 Moreover, the candleholder piece does not fall short in terms of adding warm colors, while not compromising with its classy appeal in any manner. The use of wrought iron in its construction provides the element of durability and longevity, which will make this piece a must for lovers of classic home accessories. Show Less..